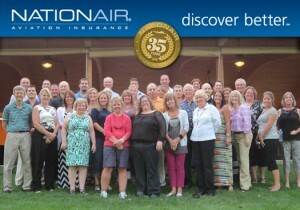 Congratulations to our longtime client and good friends at NationAir Aviation Insurance on their 35th anniversary. They are living proof that integrity, hard work and product innovation are the keys to industry leadership and sustained business success. As with so many of our clients, we learn so much by working with their leadership and marketing teams. With NationAir, as with many of our clients, we also enjoy the unique privilege of working with the visionary leader within their respective industry. Here’s to another great 35 years! Last Post: Congratulations to Birko – Named ColoradoBiz’ Top Company in Manufacturing!